For a majority of the tourists, China means visiting Beijing, Shangai, The Great Wall of China, Yangtze River or eating very authentic Chinese food made by the original Chinese. 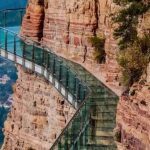 However, China beckons you with much more than the above such as traveling in a high-speed train from Beijing to Shangai in less than 5 hours covering a distance of 1320 km (approximately) or a taking 5-star luxury cruise on River Yangtze, China. In China, even the smaller towns have all the high-tech infrastructures like the big cities. Let us now visit some of them. Duoyishu’s colorful rice terraces, China. OMG! Wouldn’t you spend everything you have got to see that place in China? Duoyishu is located in southwest China’s Yunnan Province. It is where the farmers are creating the rice terraces. For different views of the rice terraces, there are viewing platforms erected at different locations. 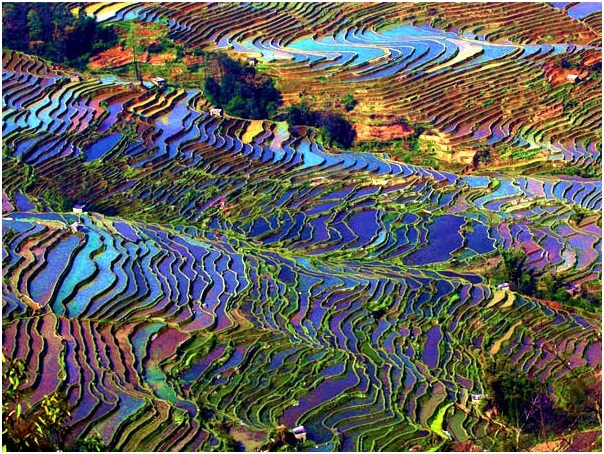 There are 3 more such colorful rice terraces in Duoyishu village. Duoyishu Rice Terraces Scenic is situated at an altitude of 1900 meters above sea level. These paddy fields are cultivated on the slopes of Aliao Mountain like a cascade. 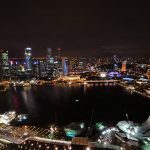 It offers the most spectacular sun rise in the world and to manage the thronging crowd, there are several observation decks. Tourists wait patiently to watch and scream in absolute delight when the mist and clouds give way for them to see the rice terraces. The entire rice terrace area is a UNESCO Heritage site. 375 kilometers from Kunming, the capital of Yunnan province. What you are seeing is not a scene of flood boss; The Zhouzhuang town of Jiangsu province in China is full winding and crisscrossing canals, just like the famous Venice. In fact, Zhouzhuang is known as the ‘Eastern Venice’ or the ‘Venice of China’. Zhouzhuang is located in between the city of Suzhou, Kunshan. What you should see in ZhouZhuang? Since Zhouzhuang is nowhere near any ocean, it is not the backwaters that surround the town but the waters of lakes and rivers. 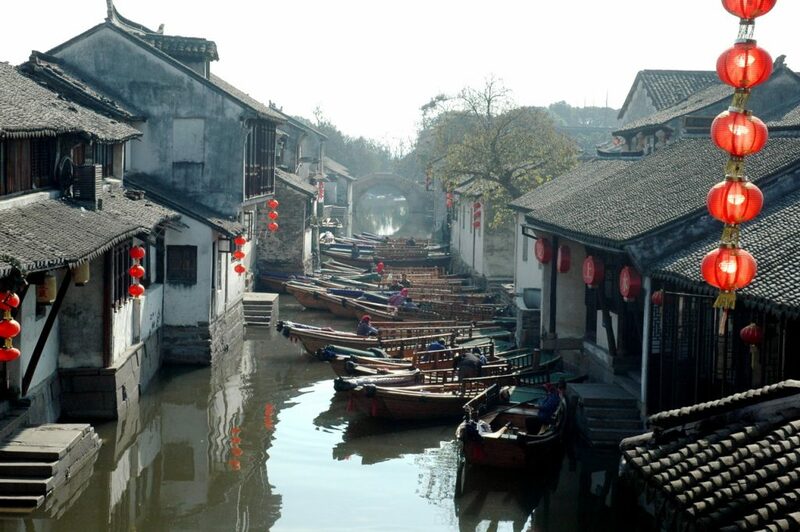 You can reach this fantastic water village from Shangai in one and a half hour drive. 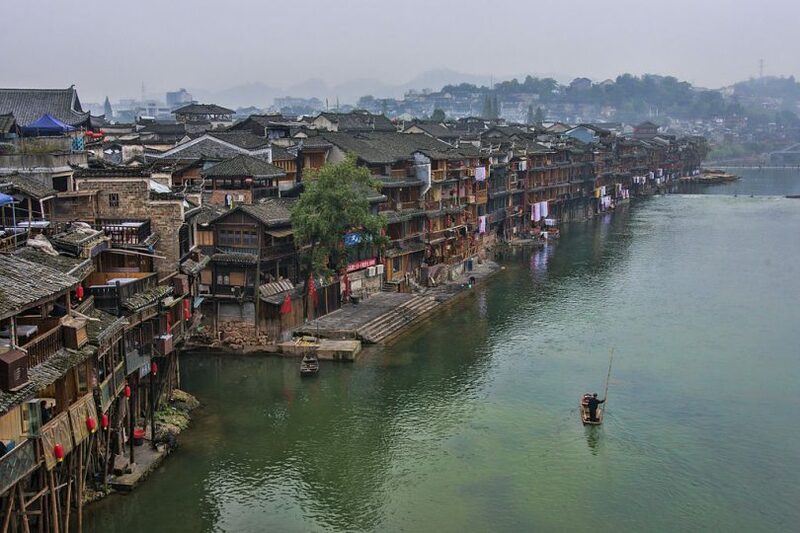 If a poet pens the mountainous town of Fenghuang in Hunan province, China as the most beautiful place in the entire China, I would not raise a dispute. Look at the image above. The buildings look ancient and on the verge of collapse but the surrounding scene is electrifying with verdant mountains and the green water of river Tuojiang. There is not much to see or to do in this ancient China town but to take a boat rode on the river and visit the Southern Great Wall of China which is less than 15 minutes drive from the town. The whole of Mongolia and especially the inner Mongolia looks like a town out of posters. The green meadows and silent streams look calm and quaint. Shiwei is a typical town on a border sharing barrier with Russia. The silence makes it a bit eerie too at the first glance. Maybe the only available images of Shiwei creates that impression. I searched for videos too of Shiwei but nothing there. 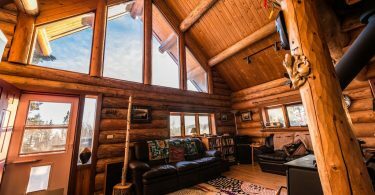 Nevertheless, I would love to spend a lazy afternoon in one of the typical Russian type log houses, just gazing at the serene atmosphere. I think the whole place will be under deep snow during the winter. 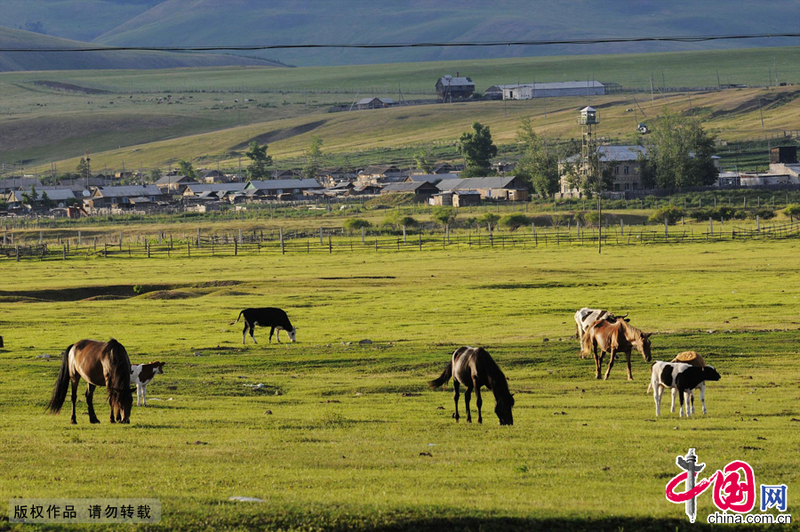 Since it is located on the Russian border, this Northeast Mongolian village must belong to ancient times when the borders were drawn between China and Russia. The village’s Russian counterpart is called Aoluoqi. 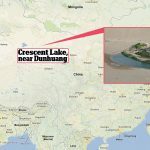 Actually, both these small towns of China and Russia sit on either side of the river ‘Ergun’. The residents of Shiwei belong to the Russian Chinese ethnicity. It’s the reason for the local food is a unique mixture of two big culture. For example, you get to eat both the Russian bread called ‘lie ba’ and the Chinese barbequed meat called ‘shao kao’. When the Chinese Government started appreciating the beauty of it last town Shiwei from 2005, the Chinese from other parts have started arriving. Being a remote village with no big hotels or local transportation means, the villagers started offering rooms in their log houses with bread and butter and also rented out their horses for the tourist to see around the place. Shiwei is about 290 km from Hailar which itself is 1840 km from Beijing. If Shiwei attracts tourists from that far, then, it is a must-see place in China. After all, the legendary Genghis Khan is said to have originated from North Inner Mongolia. Ah, here is one more ‘a- la Venice’ in China. 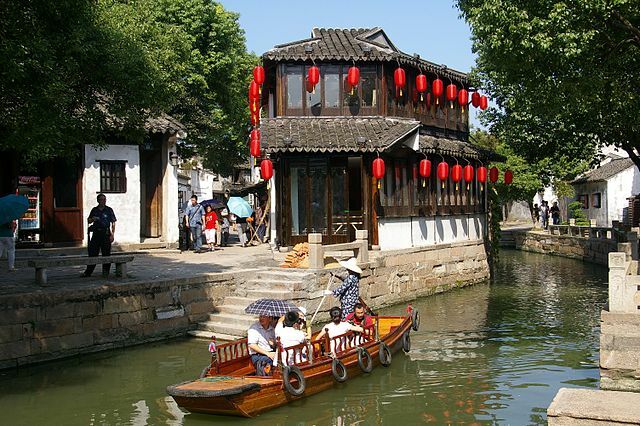 The small town Tongli is situated on the outskirts of Suzhou, Jiangsu province. 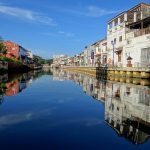 The zigzag of canals through the town makes it to the headlines of travel blogs. The water is fed into the canals from five lakes. Similar to Venice, the small boats that carry the humans, vegetables, and animals are called ‘gondola’. Retreat and Reflection Garden is known as Tuisi Yuan. It is worth visiting this UNESCO World Heritage site on a gondola. The UNESCO world body must be very busy marking thousands of sites across the world as ‘Heritage’ sites that need protection. 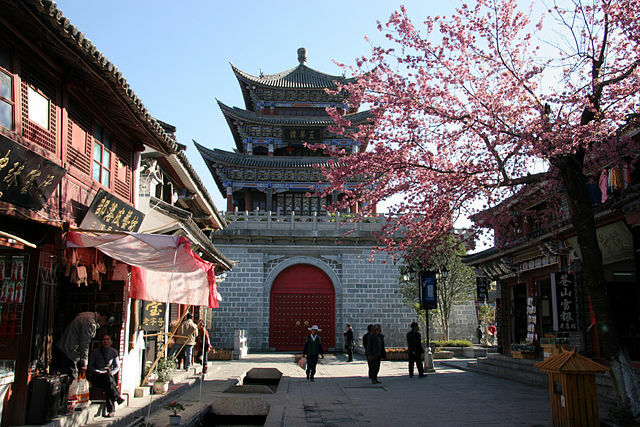 One more sightseeing place in Yunnan province of China is the Heshun town. It seems Yunnan province is rich in tourist attractions. It is also a border town but this time, we touch the Burmese border. In ancient times, it welcomed the silk traders from India and China as it acted as a stopover place on the Silk Road. This small town of just 6000 people slowly developed into a tourist center. 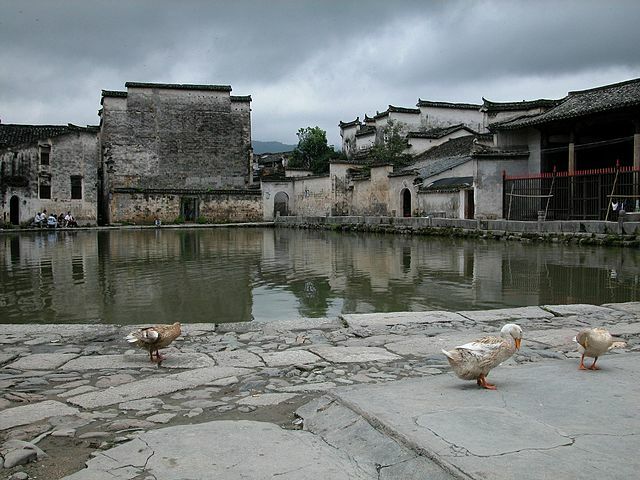 Surrounded by mountains and wetlands, Heshun town is known for its pleasant climate. Let us first know about the places to see in Yangshuo and then its location. Shiwai Taoyuan is a beautiful park with rare flowers. Julong Deep pool is located inside a cave. 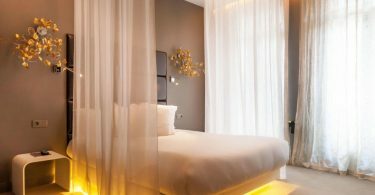 It is a popular tourist attraction in Yangshuo and hence quite a number of posh hotels have come up there. 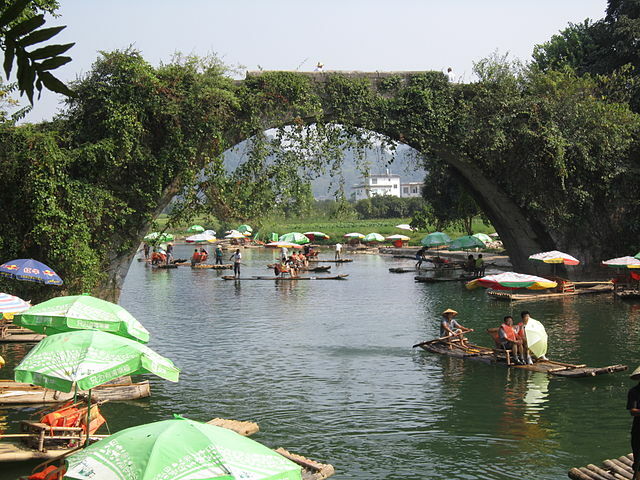 Yangshuo is known as a resort town because of its picturesque locations in Guangxi region in South China. The town’s settlement dates back to 1400 years ago. The most stunning attraction in Yangshuo is the Butterfly Spring Park located on the moon hill. I saw a butterfly rock formation on the walls of the Karst Mountain. It is a big formation that is clearly visible from a distance. As you enter the Butterfly Spring Park, you will be stunned to see a huge Monarch Butterfly model mounted on a cliff. The spring is real though as you can see it bubbling from the rocky surface. It must be the purest mineral water. Now, the real and live butterflies are seen in millions of myriad colors and hues living happily in the area. Some of the rare butterflies spotted here are the ‘papilo’ and the ‘nymphalid’. You need to go to the Fujian Province in China to visit this small island which hates anything motorized form of moving around. Yes, it is a ‘pedestrian only’ island. A unique and eco-friendly concept! 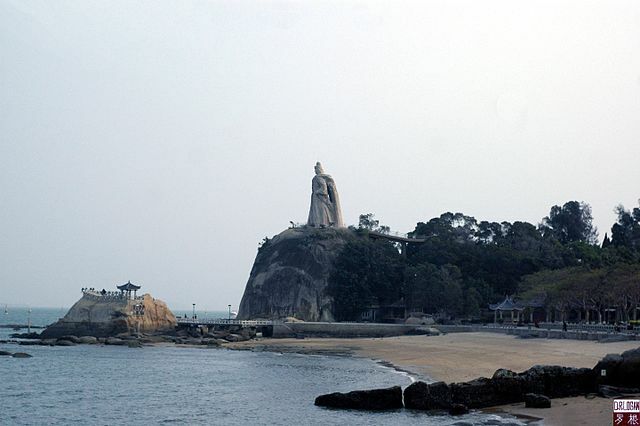 The island is reached by boat only from the city of Xiamen. Here the waves make a big, ‘drum beating’ like sound and hence the name “Gulangyu” (gu’ meaning drum and ‘lang’ meaning waves). Apart from its pristine beach, you can hike on a trail to reach the Sunlight Rock from where the sea all around is a sight to behold in your eyes and in your camera. The huge statue of Buddha can be seen on top of a hillock. Another place to see and enjoy is the Shuzhuang Garden and the piano museum inside the park which was once a private property. The garden is liked by children mostly as they get to see waterfalls with a backdrop of hills and sea. In addition, the children would scream with delight when they reach the natural playground in the Twelve Caves Paradise. 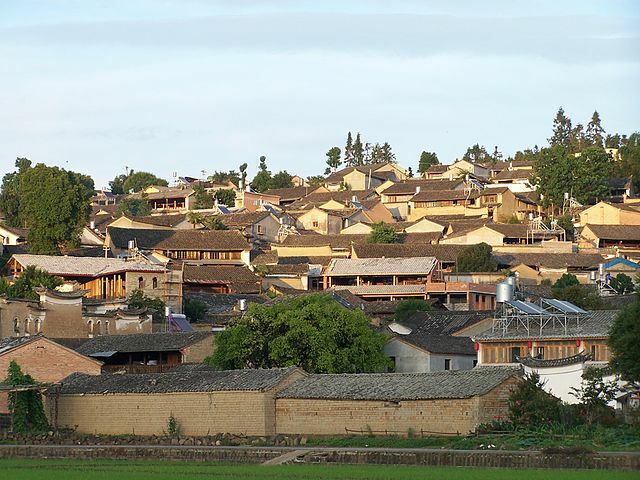 We have arrived at the third small town in Yunnan Province, China. Dali is situated on the banks of the Erhai Lake. From the look of the houses in this small town, it must be an ancient city but still manages to retain the Ming Dynasty architecture. 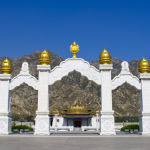 The world famous three pagodas of Chong Sheng Temple of the 9th century that are built in a triangle can be seen from any part of the Dali town. Dali is famous for locally mined marble slabs. Tourists to Dali are invited to participate in the traditional 3-course tea party in which three different tasted tea is offered. Tourists take a guided tour of Dali on a motorbike, going around the Erhai Lake when the local guide with some English points out the passing scenes that include paddy, fishermen’s villages, and various small eating outlets. The Bai architecture of China is immediately recognized by the slightly upturned edges of the roof. It’s a very familiar style of Chinese buildings. If you hire a taxi to tour the old town of Dali, you will see all the buildings are built in the Bai style. 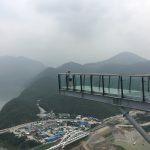 When you have had enough of the local buildings, turn around to enjoy the sight of Cangshan mountains whose Malong peak is situated at a height of over 12,000 feet! Rural China may not attract most of the European tourists; they come to China mainly to eat the hundreds of Chinese cuisine. However, the Chinese who live in small towns and villages are known to pay a visit to similar small cities and town like theirs. Hongcun is a typical rural China where the life doesn’t seem to move at all. 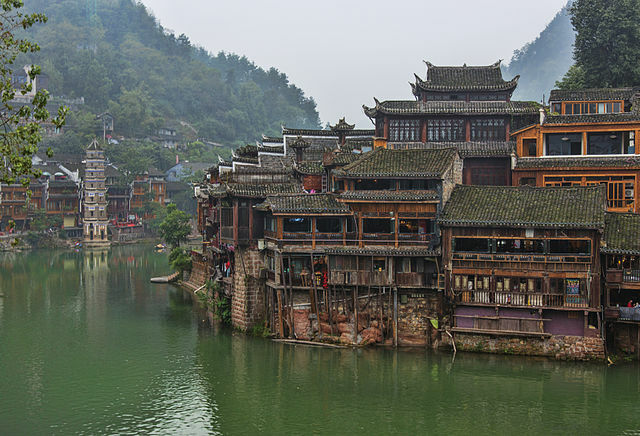 It is a village with typical old Chinese houses but also gave way to modern buildings too. Why I am featuring this town is the settings of this idyllic village that is surrounded by the Mount Huangshan in the Southern Anhui Province. It’s a village that seems to floating on canal waters. The location, the mountains, and the canals attract film producers in hordes. One more sightseeing place is the Yellow Mountains known for a rare variety of pine and hot springs. I am impressed most by the colorful rice terraces. The cascading style reminds me of the Munnar tea plantations but that is only greenery and nothing compared to the magnificence of this. The colors are dazzling.